Yes! 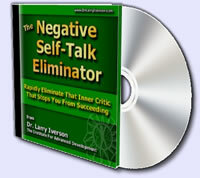 I want to purchase and download Dr. Iverson’s brand new program Unleash Your Success. I want to get started right away towards launching myself into a better financial life, with improved health, greater mental & emotional control and incredible relationships. Since you are ordering today, you have the opportunity to Upgrade your Unleash Your Success purchase to include my new success boosting Audio Program — “Negative Self-Talk Eliminator” for a savings of 40% OFF of the normal retail price. This is a one-time offer and will not be repeated EVER! This discount is good only for today.